One of my dearest God-sisters, who was like a mother to me, She was on her death bed in London and I left from Mumbai to go to visit her. I happened by Gods Grace to come just the day before she passed away. And she was saying, she was a very, very independent, active, dynamic, lady who loved to get things done, organised and she was always caring about people and here she was with Cancer, paralysed, crippled, imitated, her husband had to clean her excrements, because she cannot even move. And she said with a smile, that even though I appear so helpless, she said I have infinite relevance. I have infinite significance because Krishna loves me. And nothing could ever change that. Not disease not even death. That’s my greatest wealth, and that gives me such unlimited importance forever, that God loves me. And then she smiled and said, but I having nothing to be proud of over anyone else because God loves everybody. To experience Gods Love and to actually understand our own love for God is the greatest wealth and it’s within us. It simply has to be awakened. And that’s what religion is, that’s what spirituality is, that’s what Yoga, that’s what true human culture is meant to do- awaken divinity that is within us. 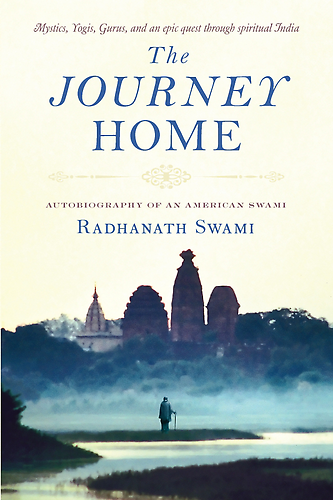 And to be an instrument of that divinity – Radhanath Swami. But the positive attitude which most motivational speakers talk about has its intrinsic limitations. Can it survive the onslaughts of terminal diseases, of old age, of death? To remain positive in the face of inevitable casualties caused by time, that’s monumental. A sincere student of Bhagavad Gita can easily remain positive in all situations. 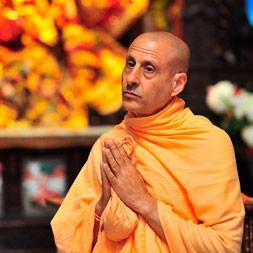 Radhanath Swami, in this audio clip speaks of one such student of the Bhagavad Gita. 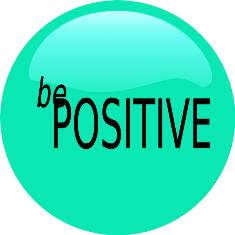 11 Responses to "Undying Positive Attitude"
We can retain our positive attitude under any circumstances if we follow the principles of the Bhagavad Gita. Thank you for sharing such awonderful and beautiful article :). Thank you for sharing this article with everybody :). When one is positive in life, one sees God’s grace in all the situations. Thank you very much Maharaj for always guiding us to our ultimate goal in life. Very true! If we are spiritually strong based on the ideals of the Bhagavad Gita, then we can remain positive in all situations and under all circumstances!